Within this section, you will find details of how the healthcare system in Timor-Leste is set up and operates. Sign up for an IMTJ Country Subscription for access, or login if you're already a subscriber. Within this section, you will find details of how state and privately funded health insurance in Timor-Leste work. Sign up for an IMTJ Country Subscription for access, or login if you're already a subscriber. Within this section, you will find information on medical tourism numbers, our estimate of inbound and outbound medical tourists (where they can be reliably ascertained) and news that provides estimates of medical tourism activity in Timor-Leste. Sign up for an IMTJ Country Subscription for access, or login if you're already a subscriber. Find hospitals and clinics, agents and facilitators, services and other organisations operating in the medical travel industry that are based in Timor-Leste. 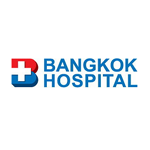 Established in 1972, Bangkok Hospital is an internationally accredited tertiary healthcare provider, renowned worldwide for their cancer and cardiology services. The private hospital provides comprehensive diagnosis, treatment and rehabilitation across a wide scope of medical specialities, including: cardiology, gastroenterology, ophthalmology, ENT, orthopaedics, neurology and much more. 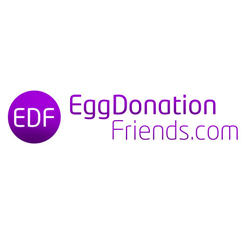 EggDonationFriends.com is an online medical tourism portal dedicated to fertility treatment and egg donation treatment abroad. They also publish articles and reports and host webinars and podcasts. They serve Cyprus, Czech Republic, Greece, Latvia, Mexico, Poland, Portugal, Spain, Ukraine, Barbados, Bulgaria, Cayman, Estonia, Finland, Georgia, India, Italy, Russia, Slovakia, UK and USA.